Botox is a powerful remedy for a range of medical conditions, as well as being used cosmetically to remove wrinkles and reduce fine lines on the face. Botox is a neurotoxin taken from an organism that is found in the environment, where it is largely non-toxic and inactive. Botox is administered via an injection and works by weakening or paralyzing the underlying muscles. It also can block certain nerves. When delivered extremely small doses and it is a safe and effective treatment when given in a modern and clinical environment like ours. Results last between 3-12 months depending on the site of the injection. Over six million Botox injections are given every year! Botox can also be used to slim a broad jaw area, working it into a more flattering V- shape. 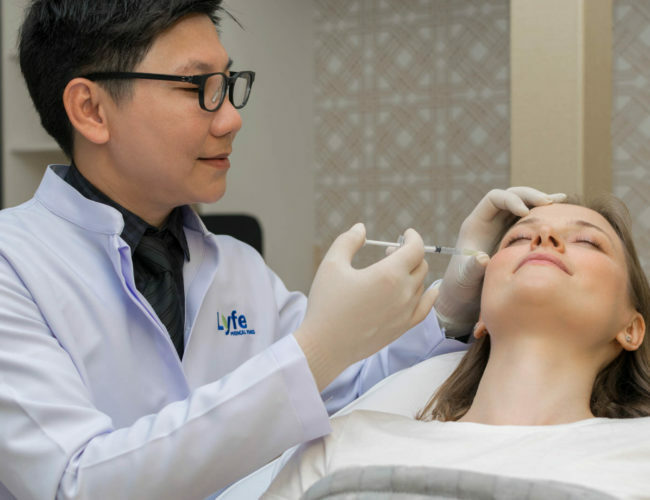 In the facilities of an experienced specialist, a Botox lift creates a more open look around the eyes, thanks to Botox being injected to raise the eyebrows. A 2mm lift can give noticeable results. If you are interested in reducing the signs of aging, Botox can be a powerful addition to your anti-aging routine. Talk to us about your Botox requirements by clicking ‘Contact Us’ above.